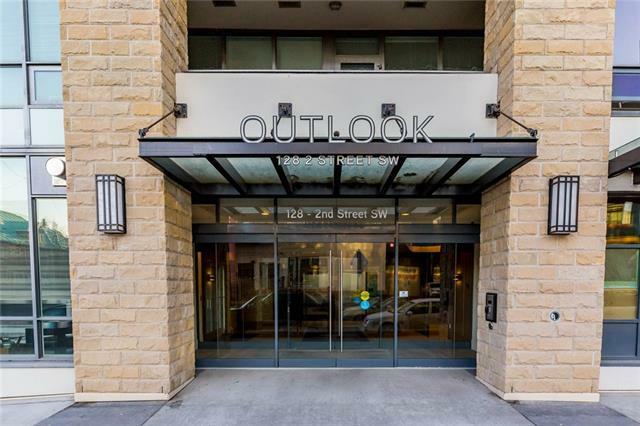 Look no more!This fantastic 1 bed+den condo located in one of Calgary's premier complexs the desirable Waterfront Outlook building, is sure to impress! Located on the 2nd floor, this apartment boasts a beautiful courtyard view, with North & East exposures. 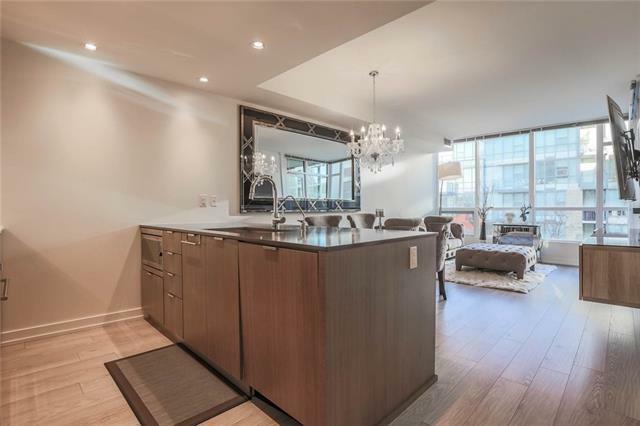 The open layout utilizes every last square foot & makes it easy to fit all the furniture. In the Chefs kitchen, you can entertain while preparing your meals. The kitchen offers stainless steel appliances, a gas cooktop, quartz counters, modern cabinets, walk-in pantry & an upgraded drinking faucet. The spacious master bedrm features large his/her custom design closets walking through into your ensuite bathrm & a large den. The unit comes equipped with an entertainment cabinet, a large storage room, in-suite laundry & a filtered water system. 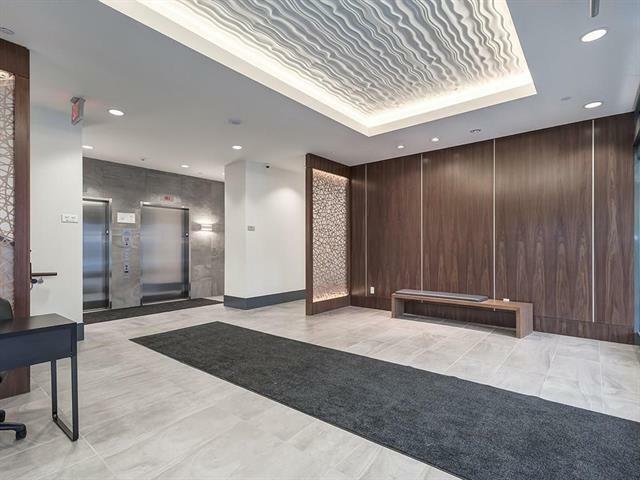 The building is complete with concierge, exercise rm, social rm, theatre, steam rm & more! 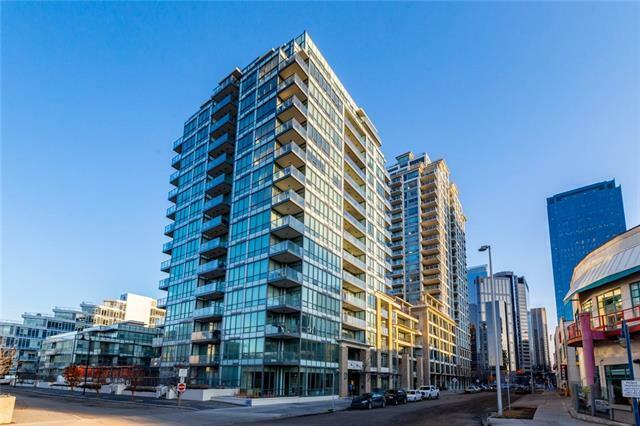 Youre just a short walk to Eau Claire market shops, the core downtown, the Bow River Pathways, LRT & restaurants.